We are publishing recommendations for every local authority area over the course of a fortnight, along with the details you need to know to plan your visit. Get motoring! The Neolithic passage tombs here date back to between 3200 and 2400 BC. The megalithic site includes 14 passage cairns, most of which are round in shape. The circular stone foundations are thought to be the remains of a prehistoric village. Visitors can enjoy views of the surrounding Bricklieve mountain range. Amenities: There is a car park. The site has no facilities and is inaccessible to wheelchair users. Opening hours and costs: The site is free and always open. Maurice Fitzgerald, a Norman Baron, introduced the Dominican religious order to Ireland and in 1253 built this friary in Sligo. Visitors can see authentic carvings on the site, as well as a preserved gothic and renaissance tomb sculpture. Amenities: There is a visitors’ centre on site. There are toilets and car parking facilities. The visitors’ centre has wheelchair access but the site itself has uneven terrain. Opening hours and costs: The site is open daily from 10am-6pm. Prices are €5 per adult, €4 per senior/group, €3 per child/student and €13 for a family. Wheelchair users can access the site for free. 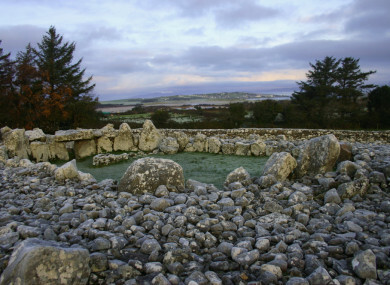 This site is renowned for having one of the largest – and one of the oldest – collections of megalithic tombs in Ireland. Archaeologists have recorded markings here of more than 60 tombs and at least 30 are visible to visitors. There is also an exhibition at the site. Amenities: There are toilet facilities and car parking available. The exhibition is wheelchair accessible but there is uneven terrain within the rest of the site. Opening hours and costs: The site is open daily from 10am-6pm and entry costs €5 per adult, €4 for senior/group, €3 per child/student and €13 for a family. This is what is known as a full-court tomb and is thought to be one of the best examples in Ireland, according to the National Monuments Service. The site dates back to 4000-2500 BC and was used for rituals. Excavations here revealed Neolithic pottery, polished stone axes, flint knives and scrapers. The court was also used in early Christian times by iron smelters and the remains of a kiln from this time can be seen. Amenities: There is a car park on site. The site is inaccessible to wheelchair users. Opening hours and costs: The site is open daily free of charge. In 574, St Colmcille founded a monastery here, and there is a high cross and round tower on site dating to the 10th and 11th centuries. Irish poet WB Yeats was buried here after his death in January 1939. Visitors can see the remains of the sites and visit Yeats’ grave, on which the inscription on the stone reads “cast a cold eye on life, on death, horseman, pass by”. Amenities: There is a café, a visitor centre, parking and gift shop on site. There is wheelchair access to the majority of the site. Opening hours and costs: The site is FREE to visit and open daily. Thanks to Sligo Tourism for recommendations. TOMORROW: Top 5 must-sees in South Dublin and Tipperary. Email “Your summer in Ireland: 5 must-see sites in Sligo”. Feedback on “Your summer in Ireland: 5 must-see sites in Sligo”.